The holidays are a time of great excitement, jubilee, and yes, overspending. In the rush to get the best gifts and deals for our friends and loved ones we often find ourselves in a financial pit when the holidays pass, maxing out credit cards in the process, and borrowing money to make the holidays special. But what if you didn’t have to go into debt to do this? Here are five ways you can minimize your chances of accumulating that dreaded holiday debt. Perhaps the easiest way to ensure you don’t fall into the seasonal debt trap is to begin your holiday shopping earlier in the year and spread it out over the course of those twelve months. We tend to bulk-purchase everything in the months of November and December, and for those on a budget this can mean either sacrificing essentials or going into debt to buy gifts. After Christmas, many stores have great clearance sales. This is a good place to start for next year’s list. Throughout the year, many markdowns and sales are offered by retailers, allowing you to buy gifts for the next holiday season in increments, instead of all at once. Signing up for your favorite store’s email list or newsletter can help you pinpoint the sales you want to catch and make buying what you’re looking for simpler and cheaper. Maxing out your cards is a bad practice in general. The balance becomes unmanageable, the interest begins piling up, and when you can’t make the climbing payments, you start incurring late fees. During the holidays, it’s especially helpful to keep your credit usage low. The temptation to buy just a few gifts on the card can be immense, but one must remember that with each purpose comes that high-interest rate, often above 20%. For every purchase you make and don’t pay off in a timely manner, you’re adding on a certain percentage of interest to that item. 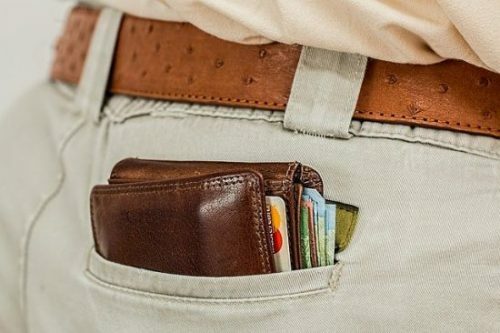 This compounds over time, and when your card finally maxes out, you’ll find that you actually owe more than your credit limit. Only spend within your means. The holiday season is about spending time with family and being thankful for what we have. Getting the best gift can be exciting, but when it’s not financially possible, it’s ok to pass it up for another gift which is within your means. If you don’t already have a budget set up, the holidays are a perfect time to start one. 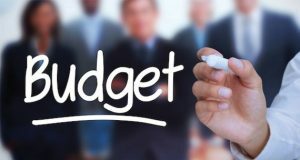 Budget out your regular expenses first and foremost, even the little things that you wouldn’t think of, such as gas for your car or your morning coffee. Figure out how much you spend each month on the essentials, and how much you have left over. From there, you can dedicate whatever amount you feel appropriate for spending during the holidays. You can do this at any point in the year. 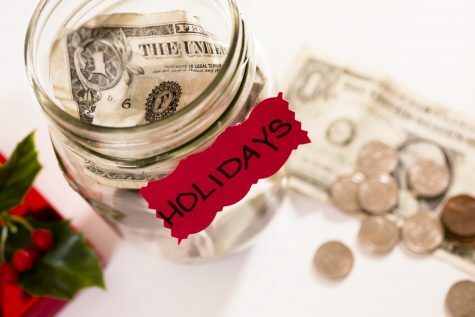 Begin budgeting and saving money and start a holiday fund, even if you only add $10 or $20 each paycheck. After a few months, those numbers add up, and you’ll find that the lump sum you’ve saved will also save you a lot of stress from buying gifts. You’ll still be able to get the gifts you want without overspending or putting yourself into debt. A truly meaningful gift doesn’t have to have an enormous price tag on it. As consumers, we often get sidetracked by the incredible prices of gadgets and toys and other things we assume people want for the holidays. In reality, however, you’ll find that people appreciate a gift that speaks directly to them as a person more than one with a high price tag on it. It’s easy to get pulled into the spending trap when everyone wants to be updated with the latest things. It’s important to take a step back and remember that we’re buying for our loved ones, for people that we have intimate and personal relationships with. Knowing what they like, the things they value, and how they think can help you purchase a gift that has incredible sentimental value, which is worth more than any hefty price tag. Whether you do your shopping online or in stores, you should know exactly what you’re looking for so that you can shop around to get the best deal. Often times, retailers hike up the list prices on items to make the sales price look better. Always search for the best price on the item you’re purchasing. 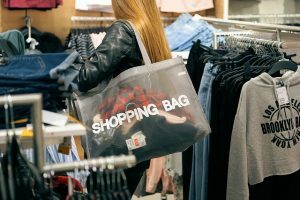 Often times, department stores will either match or beat their competitor’s prices, so it’s helpful to also inquire as to whether or not the store you’re shopping at has a price match policy. Sometimes the better deals exist online, even if it’s on the retailer’s own website. Always check online first, to save yourself the trip out into the holiday madness, and to give your wallet a bit of a break. Just be sure that you order your gifts by the site’s holiday deadline to ensure they arrive on time. The holidays don’t have to be a time of anxiety and debt. Following these five simple steps will ensure that you don’t fall into the debt trap this holiday season, and can focus on enjoying the wonder of the season properly with your friends and loved ones. If you do find yourself in debt this holiday season, there are many options to help settle or consolidate it. Sites like Get out of Debt and others offer flexible consolidation plans for many levels of debt. Applying is fast and easy and can get you back on track with your personal finances.